While in Portland for the last two weeks, the boys and I played a few shows around Oregon. I’ll give you a brief review in case you’re interested to hear how they went. 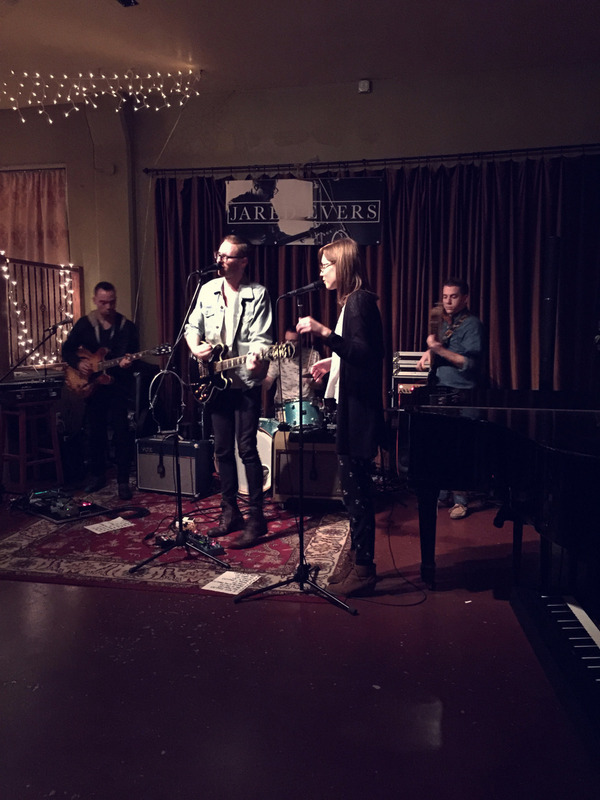 On January 10, we played Vie, a super vibey wine bar in Southeast Portland. It had the coolest atmosphere: hanging lights decorated the large, circular room, with strands stretching from the middle to anchors around the walls, accompanied by wooden casks adorning corners, and wine racks bringing a classic feel to the room. The large, open floor plan of the main room made for natural theater seating, with a tier of tables on a half-level about the main floor. The staff was overly friendly and complimentary the entire evening, and it was a privilege to get the chance to play there. We started throwing cables aside, rewiring a few channels, and turned two knobs as we settled on just my voice and my sister’s voice to come through the venue’s simple setup. The set started slow with a halftime intro into “I Will Sing,” and hit the ground running when the bass and drums started driving the first verse. Fans responded with excitement and cheering, and the lack of the larger setup was not even noticed. This showed me how vital flexibility and stellar musicianship is (on the part of my band) when performing live music. All that time practicing in our room at home without any sound system played a huge role, and we performed the rest of the night without a hitch. Overall, It was a blast getting to see friends and family and share some music with them. A friend of mine, Emily Joy, joined us as the opener for the evening. Emily sang and played with emotion and conviction, a very moving performance. She’s planning on launching a Kickstarter and production on a new album later this year, so keep a watch out for her. Vie de Bohéme was a great experience for us. Of course, good wine and good food are always great bonuses to add to a killer night. (Photos taken by my dear friend, Riley Schmutzer).